Nspa are everything you could want from a beauy brand; luxurious and great quality but without the high end price tag. I first tried Nspa products long before I started blogging; a friend gave me a set of their bath gels for Christmas and I was immediately in love, I rationed those beauties out every bath time to make them last as long as possible. I've gone on to try a number of their other products over the last couple of years, their Gingerbread Latte body butter was one of my absolute favourites but sadly I think they've stopped selling it now (don't you just hate it when that happens) but luckily there are still lots of gems from the brand that I'll happily continue to repurchase. I've only ever seen a handful of reviews of Nspa products here in beauty blogging land which is a bit of a shame, because I can wholeheartedly say they do some really nice stuff. 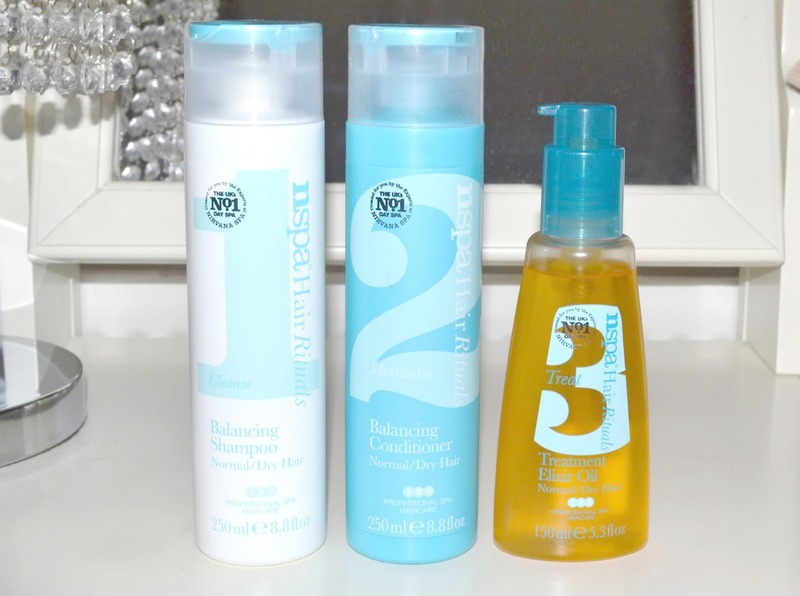 I was recently given the chance to try one of their newly released haircare 'Hair Rituals' lines, I went for the 'balancing' products which are designed to remove product build-up, refresh and protect hair. I use a lot of heavy hair masks and oils on my hair to keep it in good condition, but I know on my fine hair that it's a bit overkill at times and can leave it feeling weighed down. I've known for a while that I'd probably benefit from a clarifying product, but was a bit scared that they'd strip my hair of moisture and leave it looking like a dried out old tumbleweed. Luckily that wasn't the case at all and my hair was left feeling really soft, the conditioner is light but moisturising and my hair felt nice and swishy once it was dry. If like me you deep condition a lot and want to refresh your hair without the worry of over stripping, give these a go. I plan on using this shampoo and conditioner once a week to clarify and refresh my hair from any product build up, but they're so mild you could easily get away with them as your everyday shampoo/conditioner. 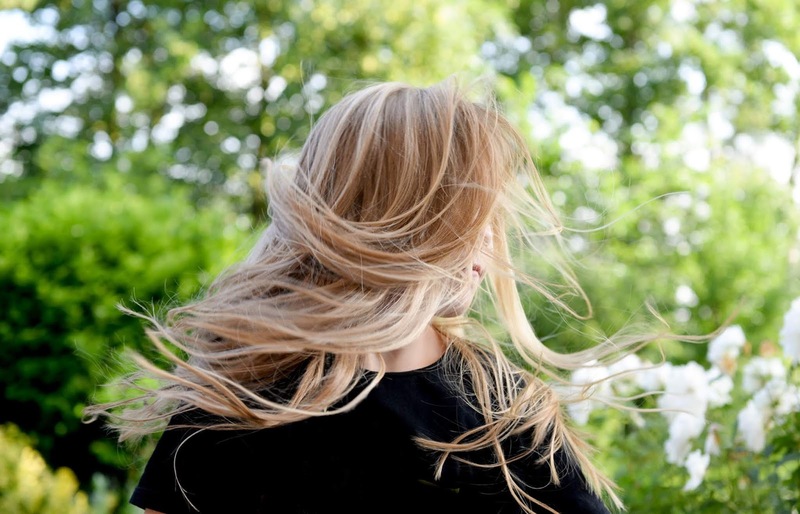 Hair oil is one of my all time favourite hair products, I wish it would have been popular years ago because they would have helped to revive my miserable bleached hair much more quickly. I like something that's nice and lightweight with no sticky residue- I don't fancy looking like I've emptied a bottle of Crisp n Dry over my head just for fun, and so for everyday use I much prefer an oil that's easily absorbed. I was hooked after the first use of this Treatment Elixir, I honestly can't praise it highly enough. It's lightweight and leaves the hair smooth and hydrated without looking greasy, plus with all of the Nspa products it smells gorgeous. Even though the decent 150ml bottle will last ages I've already gone out and bought a bought a backup because I like it so much, I can see myself using this for the foreseeable future. Nspa products are exclusive to Asda, perfect to pop into your trolley when you fancy treating yourself without spending a fortune. 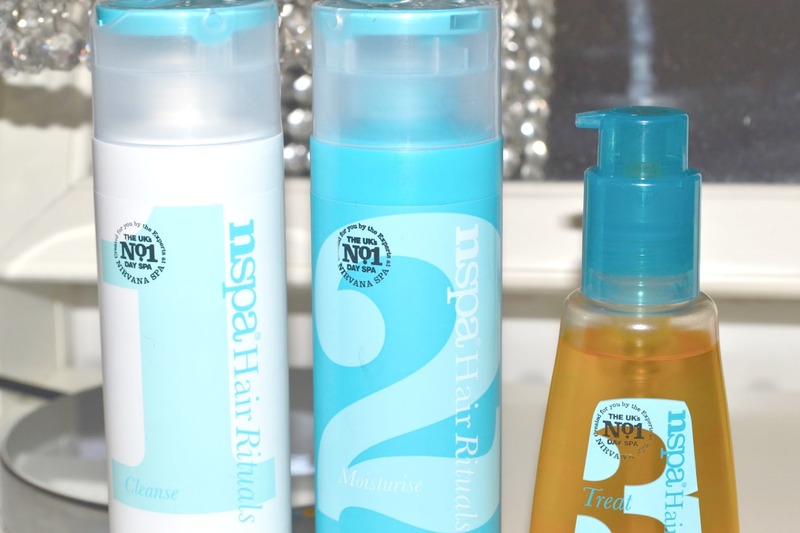 Other lines from the Hair Rituals range are: protecting, repairing, colour protect and full body- each comes with a shampoo, conditioner and a treatment and can be found here. Never heard of them but these products look gorgeous - going to get my hands on that treatment oil! Bombay Rose: UK MAC Lipstick Giveaway, click here to enter! Love nspa products, their Hot Cloth Polish is one of my favourite cleansers!! The hair oil sounds lovely. Looking forward to keeping and getting to know you. I also have a blog design site. If you ever need a custom blog design, please check it out! I think I'd like to try the shampoo. I need something clarifying too, that won't dry my hair out. Thanks for the review. These look awesome! I found you through the BBU Blog Hop and decided to follow. Great blog! Check mine out? Great it sounds very interesting!! !this shampoo and conditioner can nourish your hair as well!! !